North Korea announced on Wednesday that it has tested a nuclear device, after reports of a non-natural earthquake near a previously-used test site. North Korea today revealed it had detonated a hydrogen bomb, triggering a 5.1-magnitude earthquake and propelling the dictatorship on a new collision course with world powers. 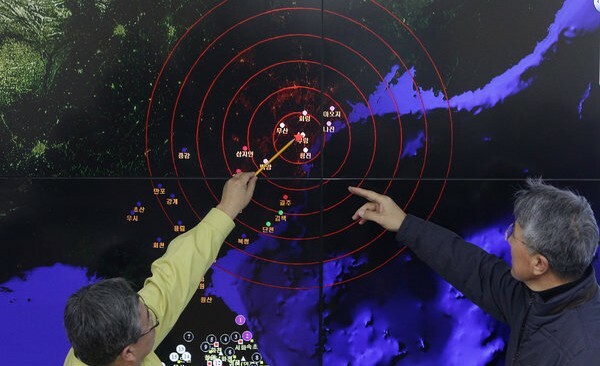 The thermonuclear weapon is believed to have detonated into the atmosphere at 10am local time at the Punggye-ri test site in the north-east of the country, with tremors felt many miles away. Footage was aired on state television that purported to be of the explosion, showing a thick, black mushroom cloud rising high into the air. China plans to summon North Korea’s ambassador in Beijing to the Foreign Ministry to lodge a strong protest, spokeswoman Hua Chunying told reporters at a daily briefing Wednesday. The U.N. Security Council will meet Wednesday morning in New York for a closed-door session to discuss North Korea’s claim that it tested a hydrogen bomb, diplomats have told CNN.